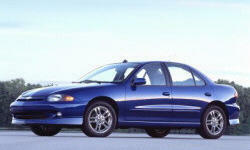 Chevrolet Cavalier Pros and Cons | Page 1 of 1 | Why Not This Car? What drives people to buy (or not buy) a certain car? 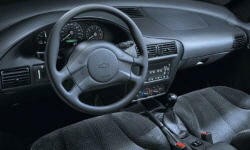 TrueDelta's members share Chevrolet Cavalier pros and cons based on their real-world driving experiences. Good point-A to point-B car. We have owmed this car for five years now with nothing but oil changes and one set of brake pads. It now has almost 100k miles on it and it runs great and has no problems. For a base model it has a sporty look. I used to own a Nissian and I love the change in body style.